Shkodran Mustafi was born on 17 April 1992 in Bad Hersfeld, Germany. He is a German footballer who plays for Arsenal FC in the English Premier League and for the German national team. Mustafi is currently a first-choice centre-back option for Arsenal, with a strong aerial presence and decent passing ability coupled with good reading of the game to make interceptions. Mustafi started his career in the German under-16 and moved up the age ladder subsequently. He played for clubs FC Bebra, and had a short phase with SV Rotenburg, and then later he joined Hamburger SV's youth team in 2006. In May 2009, Mustafi joined English team Everton’s youth academy while playing for U18 German National team as well. Mustafi made his International debut for the German side against Poland in a friendly match on 13 May 2014, the match was however a goalless draw. On 16 December 2009, Mustafi made his senior team debut for his first club Everton replacing Tony Hibbert in the 75th minute of a 0–1 home loss against BATE Borisov, in the UEFA Europa League competition. 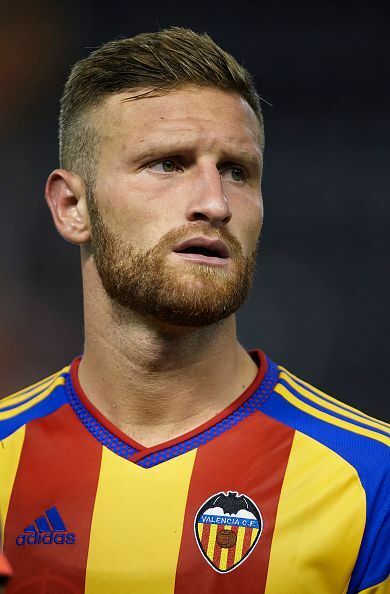 Mustafi’s career really took off when he joined Spanish league team Valencia on a rumored transfer fee of €8 million from Sampdoria. In September 2014, he scored his first goal for his new team winning 3-1 against Elche. On 2nd November he was able to shine again by scoring a brace in a 3-1 away win against arch rivals Villarreal. His regular appearances for Valencia had already shown that he was an important member of their squad. After joining Arsenal, Mustafi has been in regular team for his impact and strong performances in the game. After spending majority of his time in the reserves of the Everton team, Mustafi rarely got any game time and decided to join Italian Serie A side Sampdoria on a free transfer. He spent 2 years with the Italian side, making 50 appearances before joining Valencia on 7th of August 2014. There he played couple of years and made 64 appearances scoring 6 goals. Premier League 2018/19: Ranking the 5 most underrated players of the current season. Should Arsenal Boss Unai Emery Have Altered His Style Against Manchester City?